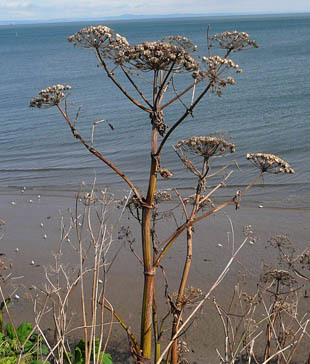 and open woodland and on older sand dunes and cliffs. 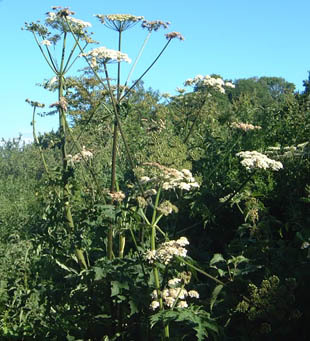 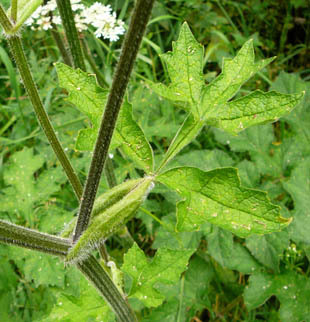 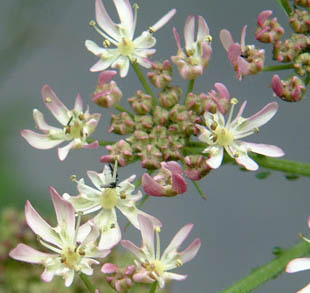 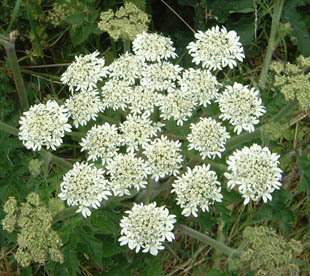 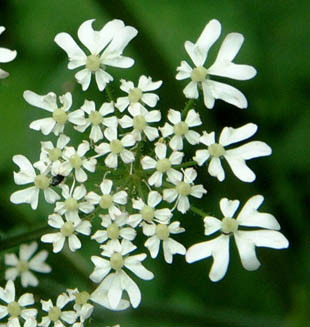 spreading umbels up to 25cm across. 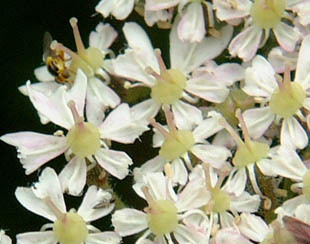 s and the inner flowers have equal-sized petals. 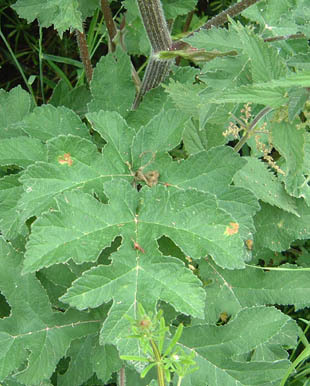 There are 2 styles with a swollen base (stylopodium). 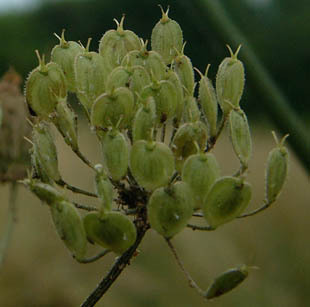 Fruits are dry, conspicuous and long lasting. 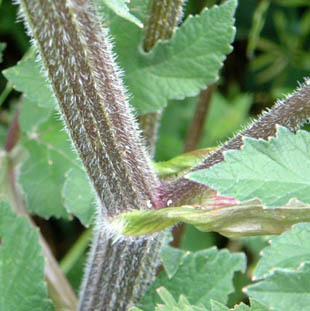 Stems are very hairy, ridged and hollow.